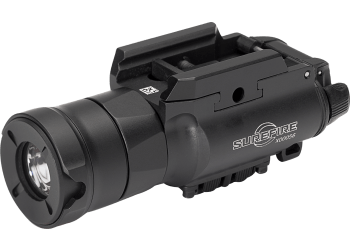 This powerful and versatile XH35 WeaponLight was created to interface with SureFire’s revolutionary MASTERFIRE™Rapid Deploy Holster. 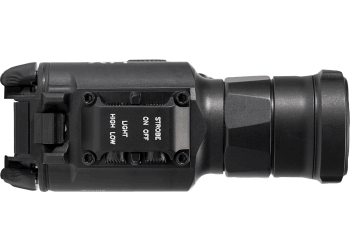 It features a unique bezel with cam slots, and pin slots on both sides of the body, which serve to lock the light into the holster and secure the weapon at an advantageous angle for quick deployment. 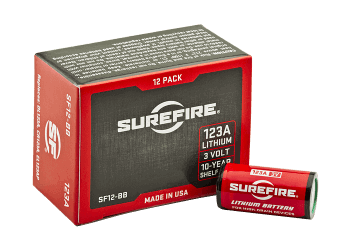 If the MASTERFIRE holster is manually set to do so, it automatically activates the WeaponLight when the weapon is deployed, saving valuable time in high-stress situations. 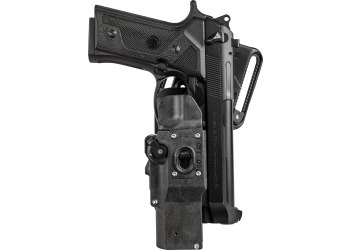 And because the open-design MASTERFIRE holster interfaces with the WeaponLight instead of the pistol, most railed pistols equipped with an XH35 will fit in this remarkable holster.